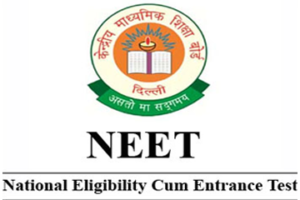 NEW DELHI, FEBRUARY 2: National Board of Examination (NBE) has released an official notice on February 2, 2019, announcing the date of Foreign Medical Graduate Exam – FMGE exam for June session. As per the official notification, FMGE 2019 June session will be conducted on June 28, in computer based platform across various centres throughout the country. The screening test is conducted for medical graduates of foreign country who wish to practice in India. The authority conducts FMGE exam biannually for June and December session. The notice further specifies that, the FMGE information brochure mentioning details related to crucial events like eligibility criteria, fee structure, scheme of examination and other such information will be released in the month of April/May 2019. Indian nationals and Overseas Citizens of India (OCI), who wish to get a provisional or permanent registration with Medical Council of India (MCI) or State Medical Council (SMC) are required to qualify the screening test. According to Screening Test Regulations 2002, such candidates need to have primary medical qualification awarded by any medical institution outside India. The eligible aspirants can check the important dates of FMGE 2019 June session from the table below. Candidates considered as an Indian citizen or OCI can appear for the exam. Aforementioned, such aspirants must possess a primary medical qualification recognised by the Indian Embassy concerned. The medical qualification should be issued by a recognised institution of the respective country. The proof/relevant documents in support of an applicant passing the undergraduate medical education should be submitted to the authority on or before May 31, 2019. Aspirants whose applications will be accepted by the authority can appear for the FMGE exam. It is mandatory to download and carry the admit card at the allotted exam centre along with the ID proof(s) for verification purpose. The online screening test will contain 300 objective type questions from MBBS curriculum. FMGE 2019 June session will be divided into two parts – Part A and Part B. Each part will be of 150 minutes making a total of 300 minutes. The medium of the exam will be English only.